Mira-Nila Homes, QUEZON CITY —Although the Day 1 of the 20th founding anniversary celebrations of the Province was basically for the Recollect friars only, Day 2 was set for all the members of the Recollect Family in the Province, including the members of the Congregation of the Augustinian Recollect Sisters, the Secular Augustinian Recollect Fraternity (SARF) members from different chapters, the Recollect Augustinian Youth (RAY), and even some Former Seminarians of the Order of Augustinian Recollects (ForSOAR). The OAR contemplative Nuns in their monastery in Bacolod, despite their physical absence at the Ground Zero of the celebrations, were very much spiritually united through their prayers and sacrifices with the rest of the family. The morning of the second and last day was intended for talks related to history, consecrated life and ecology. All the sessions in the morning and in the afternoon were held at the Parish Center Hall of the Our Lady of Consolation Parish in Mira-Nila. Fray Antonio Limchaypo, OAR, Vice President for Student Welfare of San Sebastian College-Recoletos in Manila led the singing of a religious song, “New Creation,” and the prayer of invocation. Homage to the country by singing along to a pre-recoded track of the Philippine national anthem followed immediately. 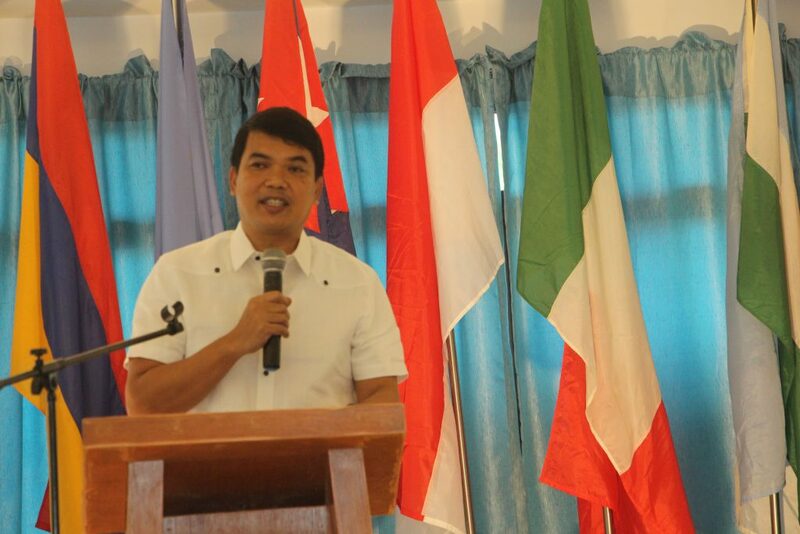 Fray Ian Anthony Espartero, OAR, Vicar of the Province, opened the Day 2 program. 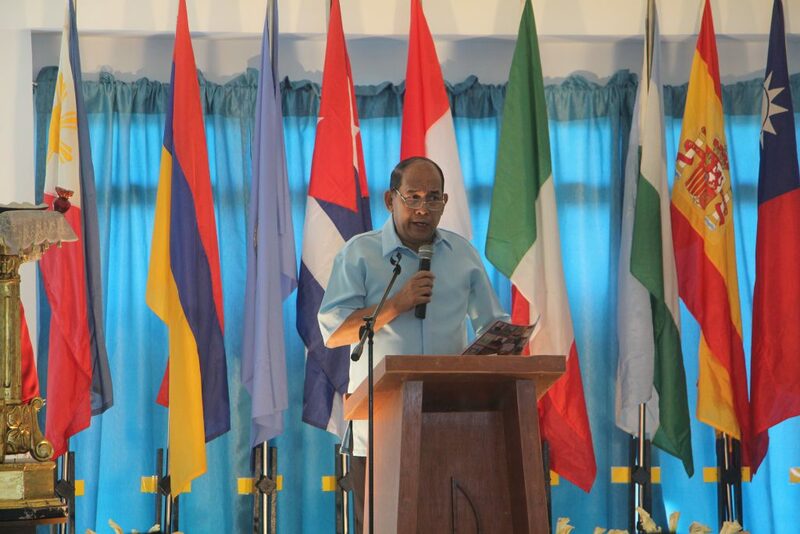 Delivering the Welcome Address was Fray Ian Anthony Espartero, the Vicar of the Province, who said: “Twenty years is but a twinkling of an eye in God’s time, but it is a long time by human reckoning.” And walking on this trajectory of human time, he exhorted the brothers to rely in God’s mercy and providence so as not to be afraid of what tomorrow might bring. “God is always with us and He will be with us till the end of time,” he said. 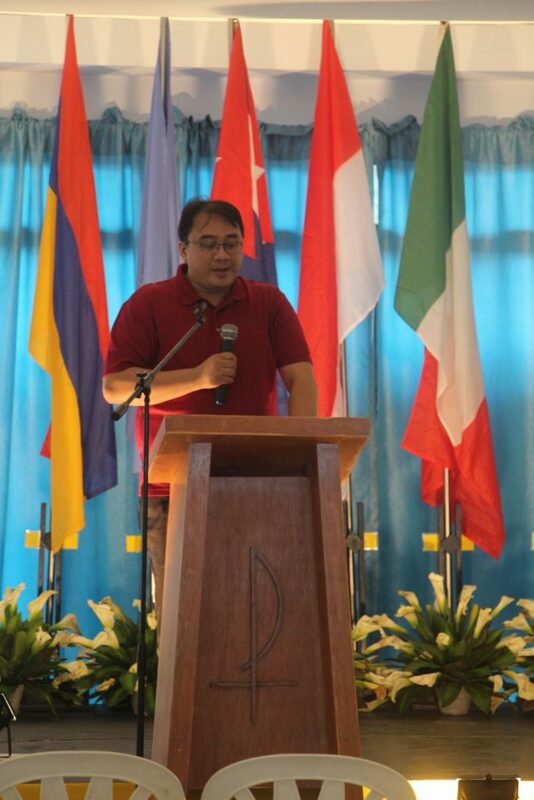 The first resource speaker, Fray Emilio Edgardo Quilatan, OAR, HED, expounded on his topic, “Deconstructing the OAR Province of St. Ezekiel Moreno: Looking back with gratitude, 1606-2018.” He presented a wider view of the history of the Province by going back to 1588, the beginnings of the Order, the Forma de Vivir and OAR Constitutions as sources of the Augustinian Recollect charism, then the missionary presence and activities in the Philippines, providing a backdrop for the birth of the Province of St. Ezekiel Moreno. 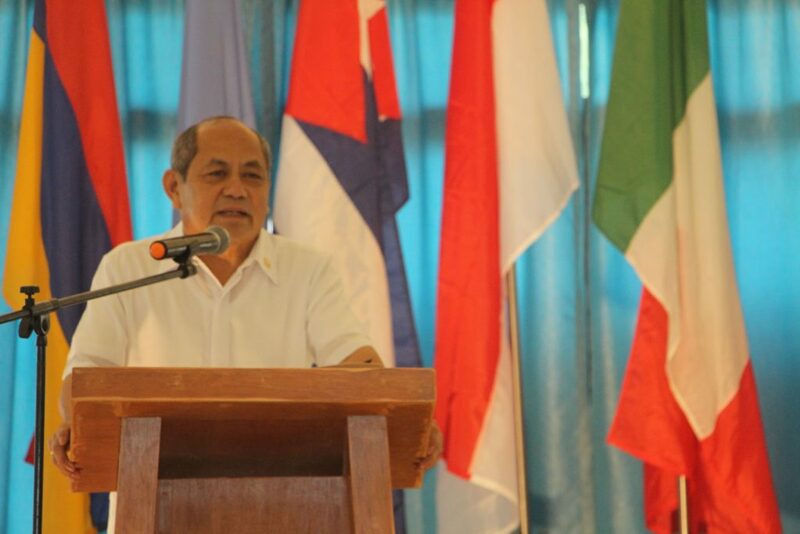 Fray Emilio Edgardo Quilatan, OAR, one of the historians of the Province, dealt with the evolution of the Province from the birth of the Order in 1588 up to the present time. 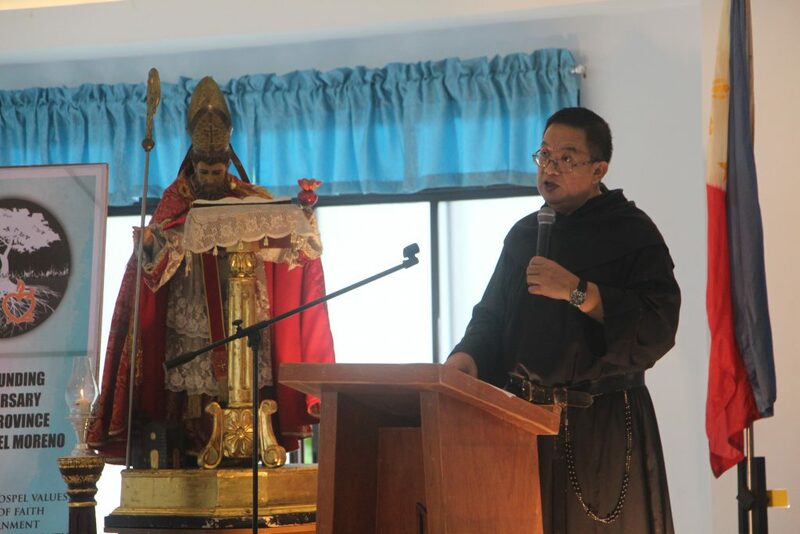 He also presented how the Province of San Nicolas de Tolentino in the Philippines grew and bore fruits from 1622, its foundation year, to 1898, which marked the end of Spanish colonization of the archipelago: 1,623 Recoletos friars served the islands; 1,249,399 souls were ministered to; 20 provinces and 203 towns were established. In his discourse, the Recollect missionaries were depicted as promoters of nation-building. Their apostolate paved the way to the birth of what is now Congregation of the Augustinian Recollect Sisters whose foundresses, the blood sisters Dionisia and Cecilia Rossa Talangpaz, are on the road to sainthood. He shed light a little bit on the issue of Filipinization movement that sprang up towards mid-20th century until the increase of Filipino vocations to the Recoletos became a phenomenon. The 51st General Chapter held in 1992 with its significant clause – “if [the 1998 General Chapter] judges that it is opportune to do so [= to establish a new province]” – had preluded the elevation of the Vicariate of the Philippines and China. By God’s design, the new Province named after St. Ezekiel Moreno was born—by unanimous vote of the 36 Capitulars of the 52nd General Chapter held in Spain—on November 28, 1998. 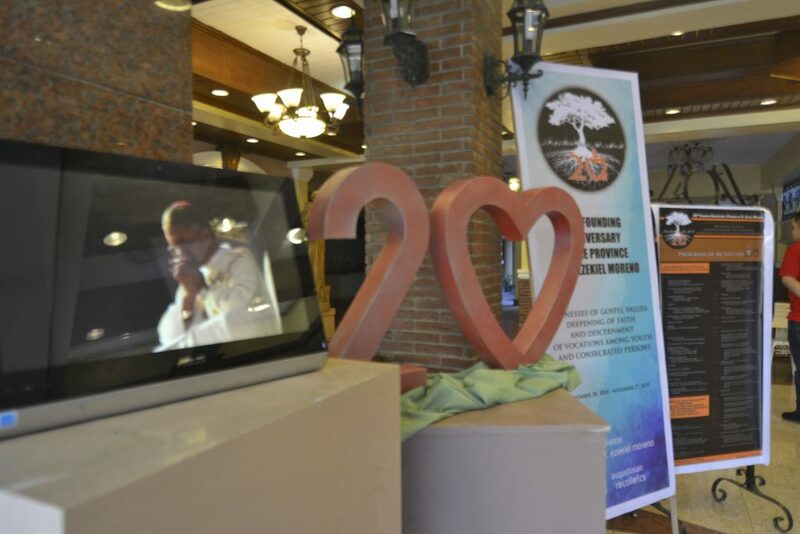 During the transition from Vicariate to Provincehood, there were 140 friars, 122 of whom where Filipinos; the Philippines had complete cycle of seminary formation, and 15 of the Filipino Recollects were licentiate degree holders, at least. Appointed by the 52nd General Chapter to lead the new Province were: Fray Victor Jose Lluch, OAR – Prior Provincial; Fray Emeterio Buñao, OAR – first councilor and vicar of the province; Fray Joseph Philip Trayvilla, OAR – second councilor; Fray Samson Silloriquez, OAR – third councilor; and Dionisio Q. Selma, OAR – fourth councilor and is the current Prior Provincial. Fray René Paglinawan, OAR, one of the reactors of the talk of Fray Quilatan. 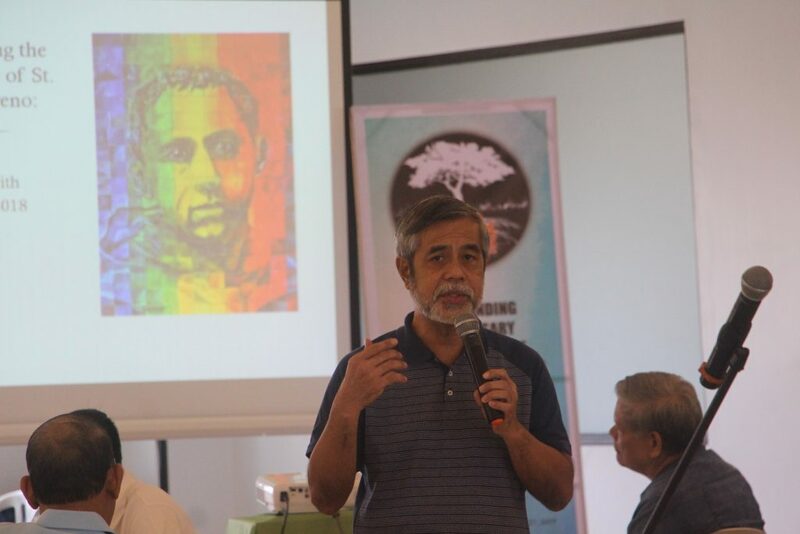 Two Rome-trained holders of a Licentiate in Church History—Fray René Paglinawan, OAR and Prof. Emmanuel Luis Romanillos—gave their reactions or offered another angle to the topic. Prof. Romanillos also stood to give what he called “The Underside of the History of the Province of St. Ezekiel Moreno during the Filipinization Phase” but only after making some clarificatory notes on some errors, including his incompletely written name. But, in the end, the love and affection of God and the well-being of the Church prevailed over human frailties, he said. After the talks, the floor was opened for the question-and-answer portion. By the great number of those who raised their questions and views, one could tell that the multifaceted topic was very engaging and relatable. 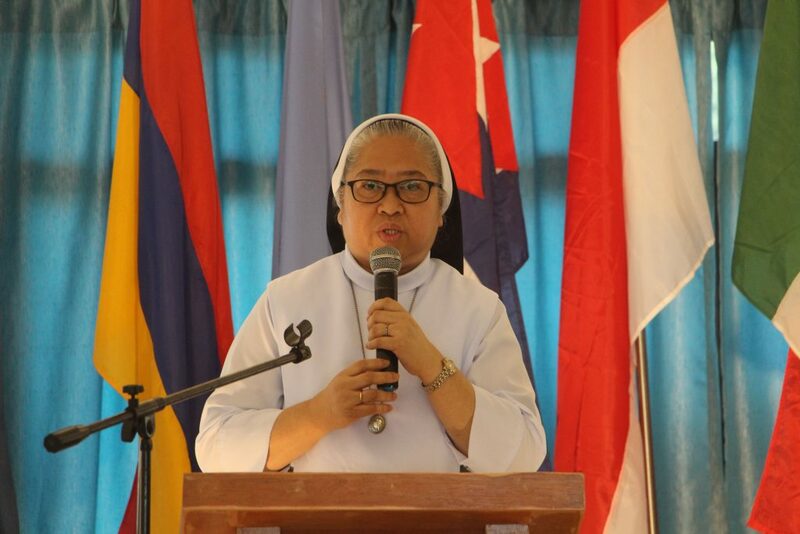 The second topic, “Religious Life and Climate Change,” was elaborated by Fr. 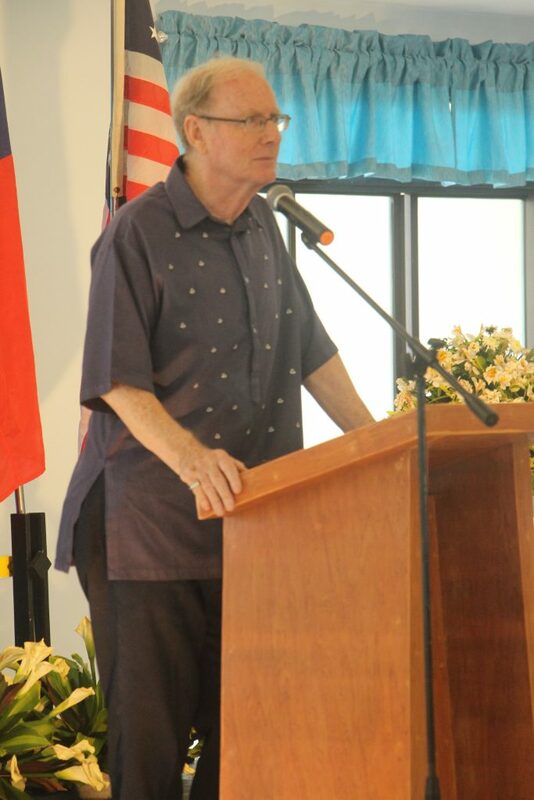 John Leydon of the Missionary Society of St. Columban. Fr. John Leydon, MSSC, tackled the relationship of Consecrated Life and Climate Change. Father Leydon first laid down the realities of today that present the condition of our world and its effects in ecology. The response to care for the earth has a deep connection with religious life. The vows every consecrated person professes reflect his oneness with God and the created world. After his talk, three reactors gave their ownside of the topic. Bro. Edwin Ruiz, SAR, Sr. Maria Lirio Guillermo, AR, and Fray Amado Emmanuel Bolilia, OAR shared their thoughts to deepen the sharing of the speaker. Reactors of the talk of Fr. John Leydon, (from top to bottom) Bro. Edwin Ruiz, SAR, Fray Amado Emmanuel Bolilia, OAR, and Sr. Guillermo, AR. The session closed 30 minutes past 12 high noon.